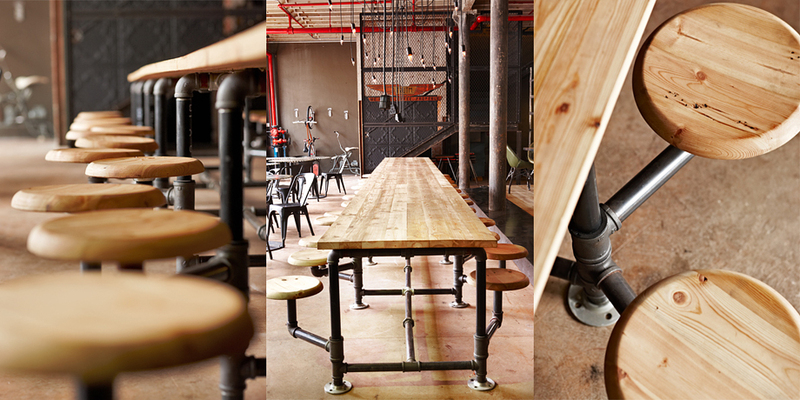 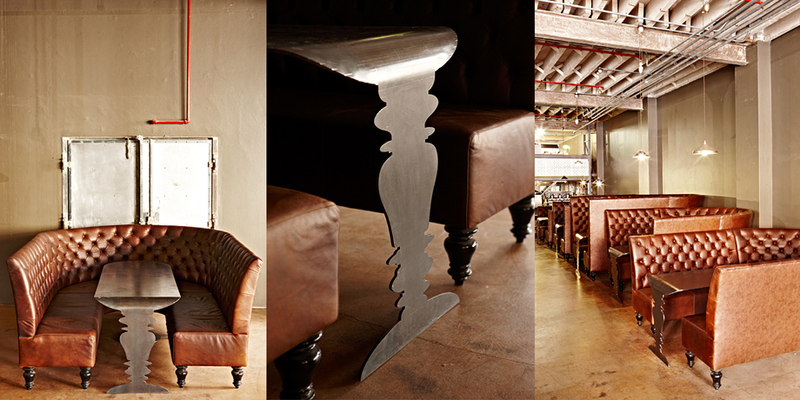 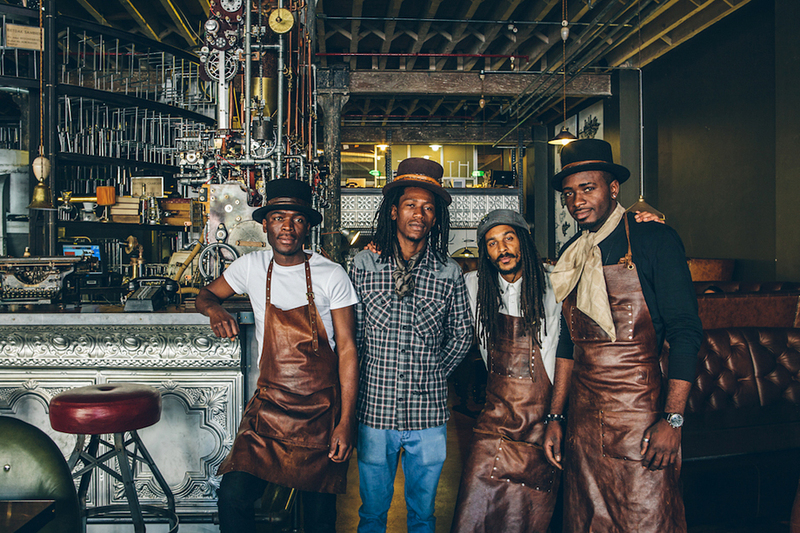 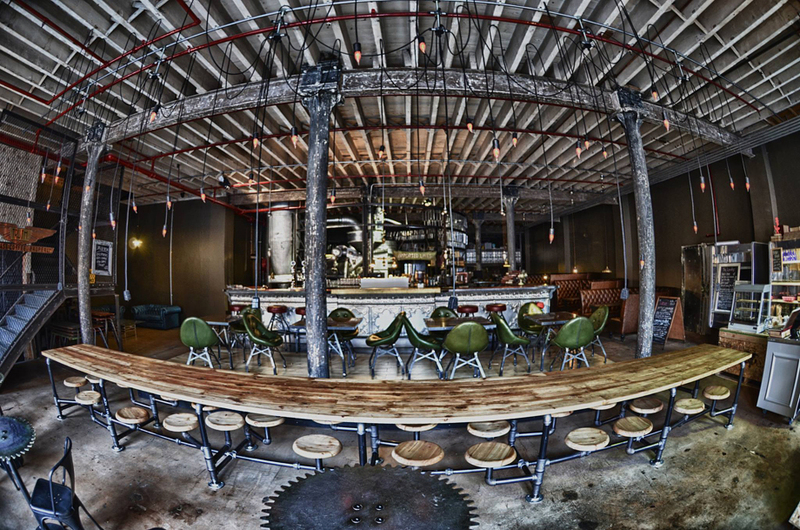 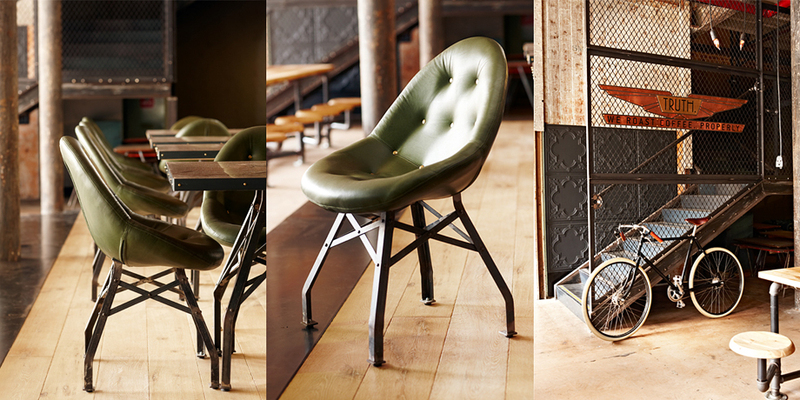 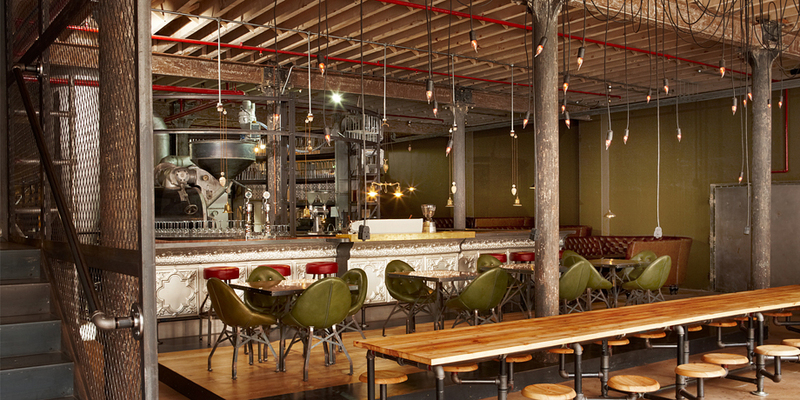 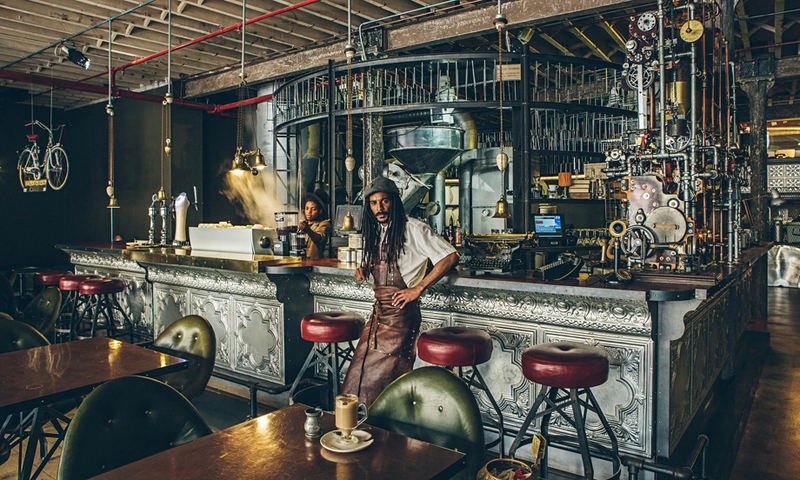 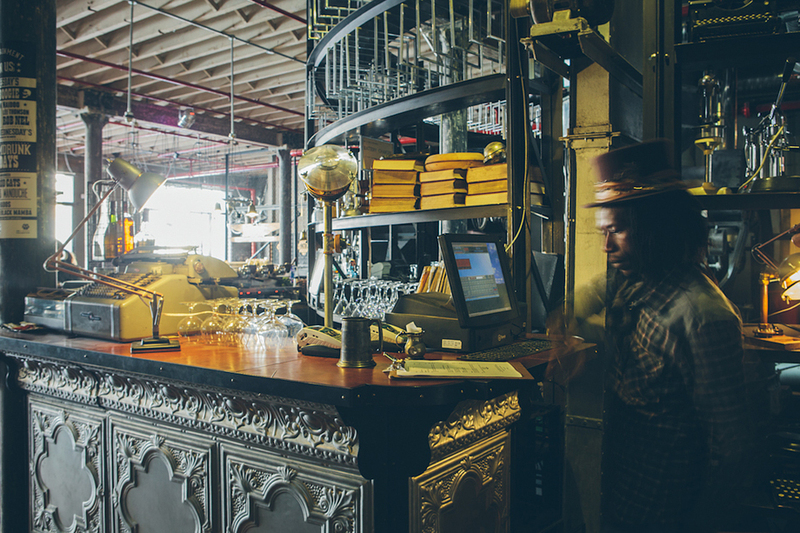 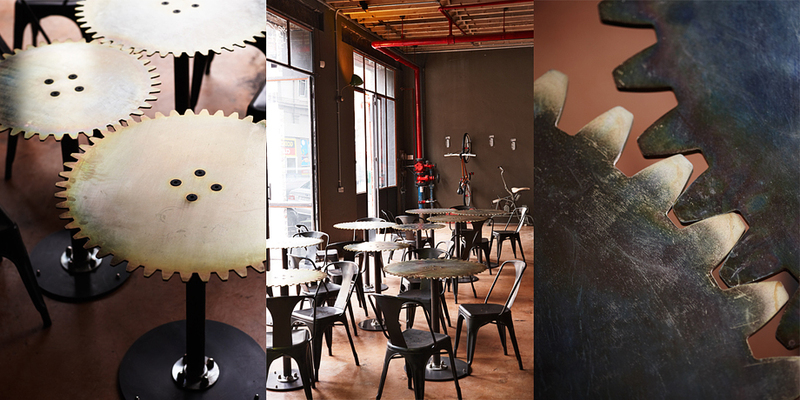 TRUTH is the most beloved coffee shop chain in all of Cape Town, created by connoisseur David Donde. 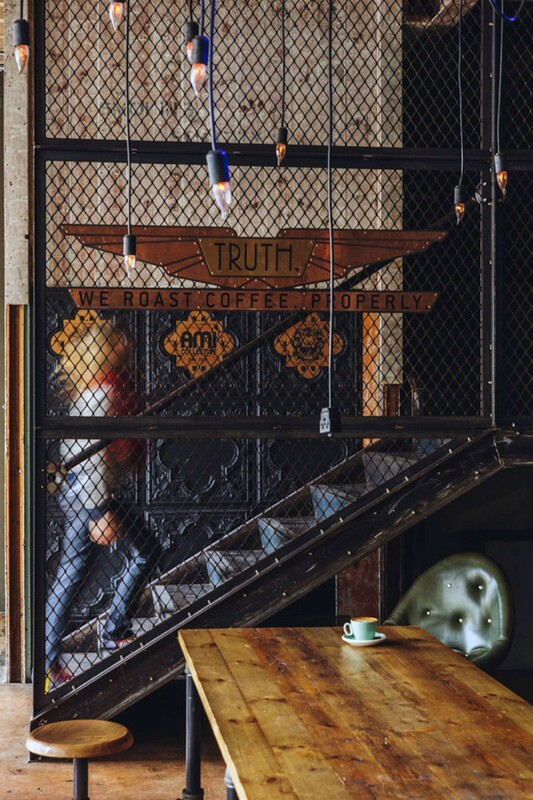 Designed by Haldane Martin, the interior brings to vivid life the down-to-earth, cozy hominess that has become synonymous with TRUTH’s brand and reputation. 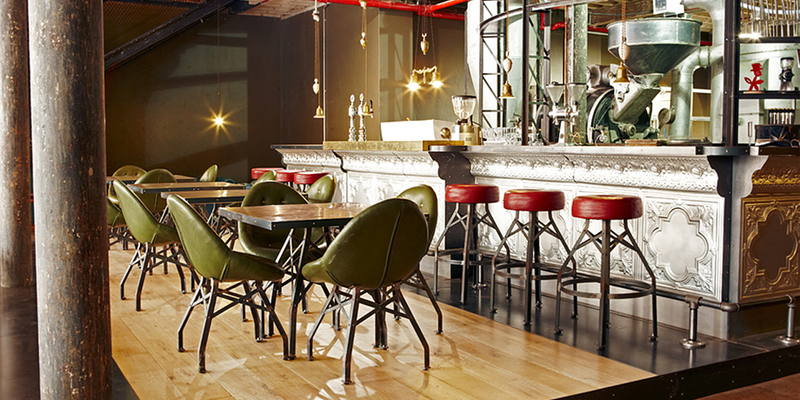 The companyэs name reflects their core mandate of honesty, inspiration and transparency, and the interior design is a perfect reflection of that. 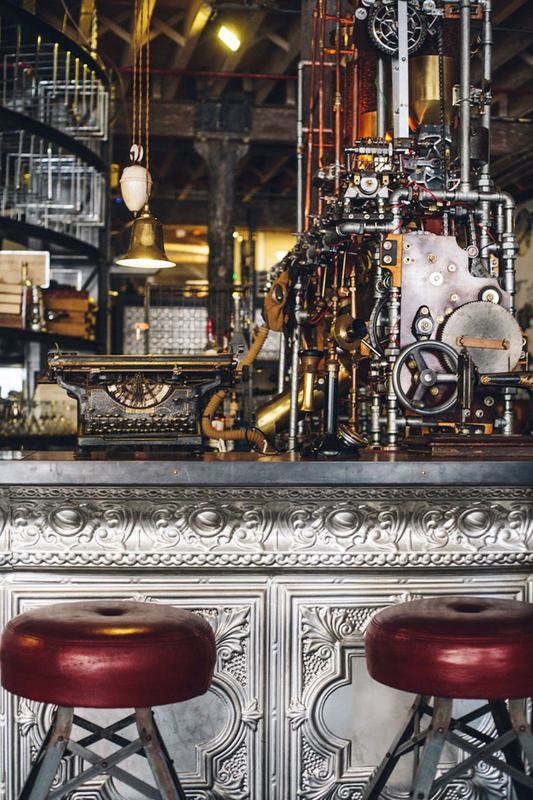 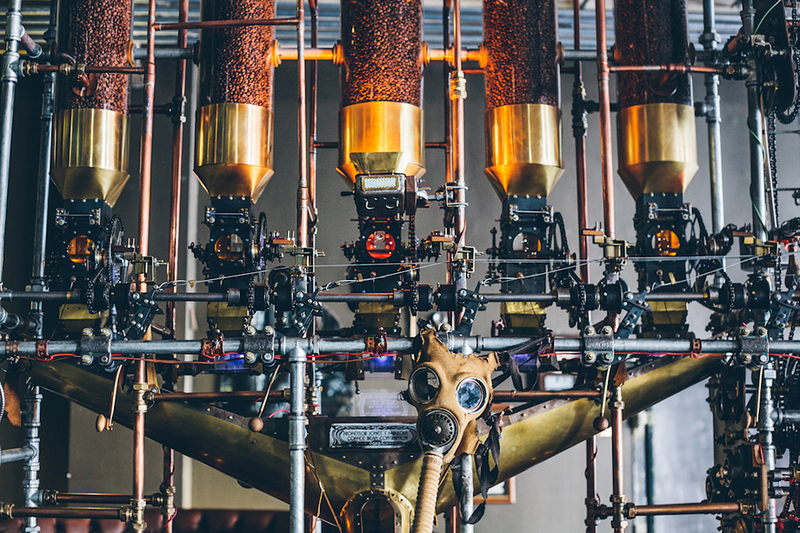 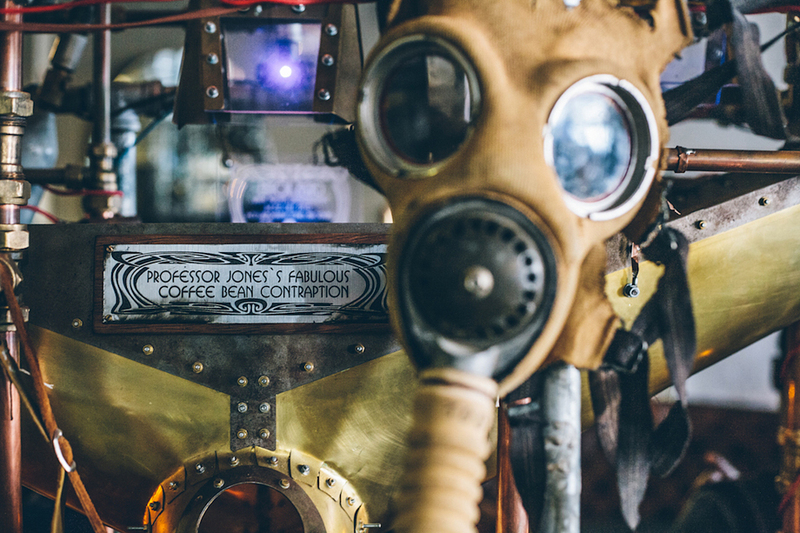 Every inch of the coffee shop is packed with visual candy from large saw-blade tabletops to beautiful overstuffed booths and an ornate array of coffee making equipment that looks absurdly complex, almost like interior of a World War 2 submarine. 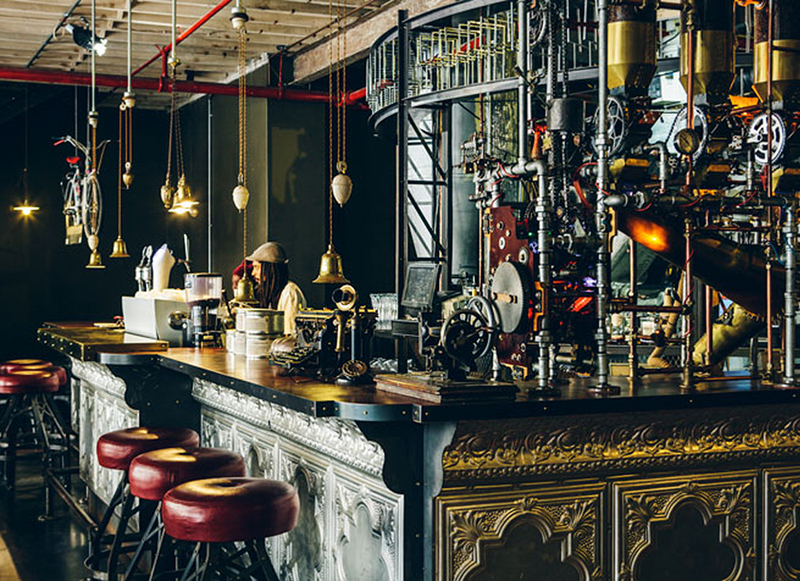 If that wasn’t enough, Martin also crammed the space with vintage typewriters, Singer sewing machines, and old candlestick telephones. 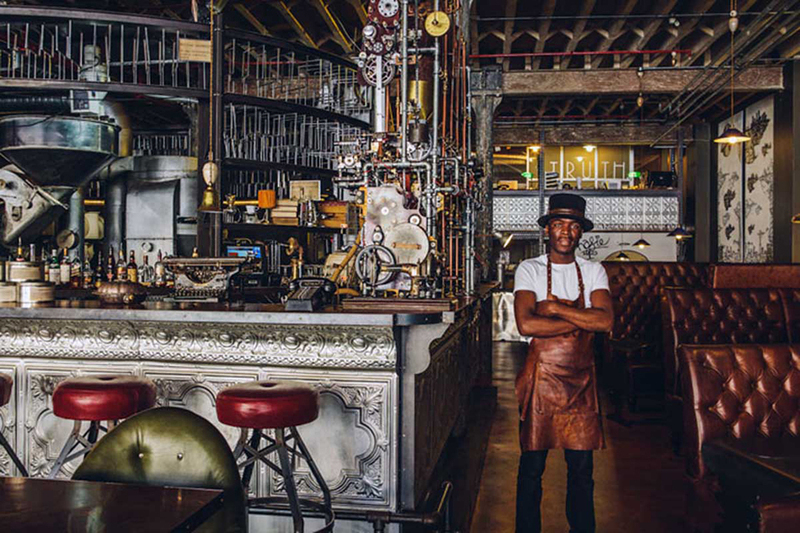 The design even extends to the restrooms which have exposed copper pipes, old extending mirrors and victorian tap levers.